Why should resellers care about Amazon One and Prime Air? Why do resellers care about Amazon One? I personally care about Amazon One and Prime Air for multiple reasons; one of which is because I am an #avgeek. The second reason, are the implications of Prime Air on Amazon’s Fulfillment by Amazon (FBA) service. 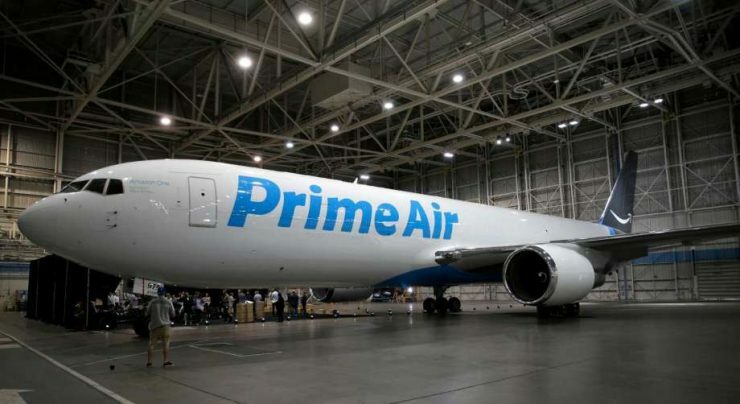 You see, Amazon One, which is Prime Air’s first liveried 767—Prime Air has had 11 leased 767’s flying between Amazon’s Fulfillment Centers already–is part of Amazon’s strategy to provide faster delivery to customers. Amazon had first announced their plan to lease a bunch of aircraft, last year during the 4th Quarter. Then Amazon further described their intentions with leasing those 767’s, which was to position Amazon as a key player in global logistics. Specifically, Prime Air is part of what will be Global Supply Chain by Amazon. Why does Prime Air matter to resellers? Well, for starters, Amazon’s customers are generally our customers. So faster delivery for anything that is Fulfilled by Amazon is a huge win. But Prime Air’s 767’s are not meant to deliver products directly to customers–gosh, that would be awkward–rather, the 767’s are meant to get products positioned at the Fulfillment Centers that need them, so those Fulfillment Centers can feed their Amazon Flex network to do same day or next day delivery. Reseller’s want to ship their products to the closest Fulfillment Center. This decreases shipping cost, and in theory, gets the product on sale faster. Sometimes Amazon will Reserve Inventory while it transfers products between Fulfillment Centers. This can sometimes take days–which usually feel like weeks. I for one, hope that with Prime Air dedicated to transporting Amazon’s packages, that this will speed up those Fulfillment Center transfers. Overall, Prime Air is a very positive thing for many of Amazon’s key stakeholders; notably Customers, FBA Sellers. From a business perspective, this will be interesting to follow, as Amazon continues to focus on things other than selling products to customers. My read: Amazon is focusing more on being the infrastructure to facilitate transactions. This is consistent with their Amazon Web Services (AWS) offering as well.